This is the Rundle Lantern in the centre of Adelaide in South Australia. 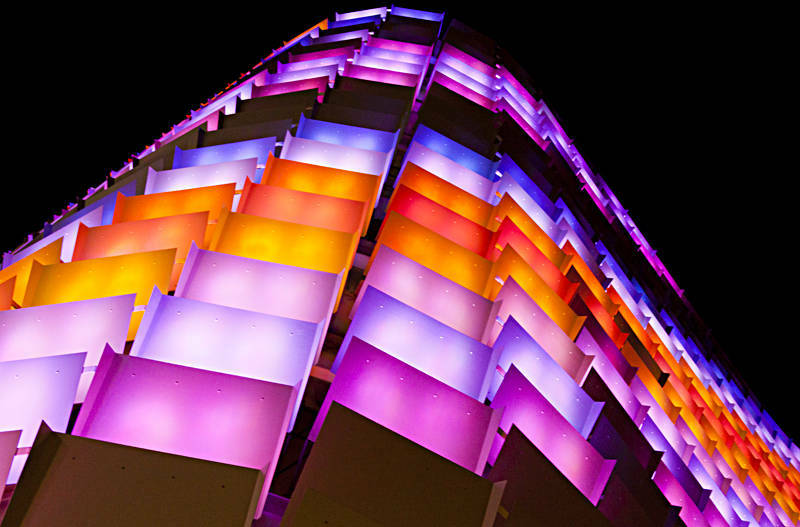 It has 748 panels which are illuminated with solar powered LED’s which can produce millions of colours. You can even create your own animation to be shown on the building.